This Website, Lympstone.org is a community website and is owned and sponsored by Lympstone Parish Council on behalf of the Community of the Parish of Lympstone, Devon. The following terms and conditions governs your use of this web site and its associated services including submission of News, Articles, Galleries, email, calendar, events and forum discussion areas (the “Interactive Areas”), which are operated by Lympstone.org (known collectively though this page as Lympstone.org). If at any time the terms and conditions of this Agreement are no longer acceptable to you, you should immediately cease use of the Web Site and the Interactive Areas. You may create Web links to any URL on Lympstone.org, including articles. 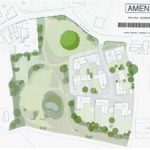 Every care has been taken to ensure that the content of this site is accurate Lympstone.org reserves the right, in its discretion, to change or modify all or any part of this Agreement at any time, effective immediately upon being published on the Web Site. Your use of the Web Site constitutes your binding acceptance of these terms and conditions, including any changes or modifications made by Lympstone.org as permitted above. You acknowledge that the Web Site contains information, software, photographs, audio and video clips, graphics, links and other material that are protected by copyright, trademark or other proprietary rights of Lympstone.org or third parties, including but not limited to product names, logos, designs, titles, and words or phrases which may be registered in certain jurisdictions (collectively, the “Content”). You agree to comply with any additional copyright notices, information, or restrictions contained in any Content available on or accessed through the Web Site. Users of the Web Site may use the Content only for their personal, non-commercial use. Users of the Web Site wanting to use the content for commercial use must obtain prior express written permission of Lympstone.org. You may not modify, publish, transmit, transfer or sell, reproduce, create derivative works from, distribute, perform, display, or in any way exploit any of the content, in whole or in part, except as otherwise expressly permitted by Lympstone.org in writing. Content consisting of downloadable software may not be reverse-engineered unless specifically authorized by the owner of the software’s patent and or copyright. Subject to the provisions of this Agreement, you may post on the Web Site any content owned by you (such as your original statements), content for which you have received express permission from the owner, and content in the public domain. You assume all right and responsibility for determining whether any content is in the public domain. You grant to Lympstone.org the right to edit, copy, publish, distribute, translate and otherwise use in any medium and for any purpose any content that you place on the Web Site without compensation to you. You represent and warrant that you are authorized to grant all rights set forth in the preceding sentence. There are no fees for entry into Lympstone.org photography competitions. Entry into the competition shall be deemed acceptance of these Terms & Conditions as they relate to the competition. Entries posted in breach of these Terms & Conditions will be invalidated and removed from the competition. Eligible participants must be natural persons and not corporate entities. By using this Site and/or participating in the competition, you represent and warrant that you meet all eligibility requirements and that any submitted registration information is accurate. Upon closure of the submissions period, a shortlist of all entries will be reviewed by the judging panel, and a final vote will be held to determine the winner. The judges’ decision will be final and shall be made in their sole and absolute discretion. Participants will not be provided with any opportunity to communicate with the judges regarding submissions. lympsyone.org will make any adjustments to the judging process in their sole and absolute discretion. Results will be posted to the website after the judges have made their decision. b. Representations with respect to submitted materials. 1. That you have taken the photograph(s) you have sent to Lympstone.org or you have permission from or are authorised by the owner of the photograph(s) to send it (them) to Lympstone.org. 2. That all necessary model and property releases have been obtained from any clearly identifiable person appearing in any image, together with any other relevant consents required, and that the use of any Submitted Materials in this competition or pursuant to the licenses granted herein does not breach any copyright, moral right, or other right of any other person or entity. 3. That the Submitted Materials are not obscene, do not reveal any proprietary or trade secrets, and do not defame or libel any person. 4. That you, or the person from whom you have permission to submit the Submitted Materials, own(s) the copyright and other relevant rights to the Submitted Materials, that you will not license or assign such copyright during the course of the competition, that you have full power and authority to grant the licenses and authorisations granted herein, and that submission of the Submitted Materials and use and display of same will not be contrary to any law or any contract or agreement with any third-party. 5. Lympstone.org will not be liable for any loss, damage or personal injury whatsoever suffered or sustained by any person or entity that results from or arises out of use or display of Submitted Materials in connection with the competition as authorised herein. The entrant indemnifies and holds harmless Lympstone.org, its subsidiaries and affiliates, and its Competition Partners against any loss, damages, costs or claims, including reasonable attorneys fees, arising out of a breach of any of the foregoing representations and warranties. Any breach of the foregoing representations and warranties will also, among other things, make the entrant subject to immediate disqualification from any further participation in the competition; make the entrant’s account subject to immediate termination; and make any prizes, awards, or honours received subject to termination and forfeiture. Entrants should retain copies of all Submitted Materials for their records, as neither Lympstone.org nor its Competition Partners shall have any obligation to preserve or return Submitted Materials. By submitting a photograph You grant Lympstone.org worldwide license to reproduce, publicly display, distribute, publicly perform and create derivative works from Your submitted materials on the Lympstone.org website. If submitted as a competition entry, in all media, in connection with the administration, judging and promotion of the competition and future competitions. Lympstone.org shall have the right to grant sublicenses to the press and publicity agents in connection with the promotion of the competition. Full credit will be given to You in connection with image usage. You will retain copyright and if Lympstone.org wishes to use your photograph for any other purpose Lympstone.org will ask your permission and obtain your consent before doing so. Any commercial opportunities that arise following the publication of the submitted photograph will be notified to You, and You will be free to negotiate terms independently. You acknowledge we may select or reject any material for publication at Our sole discretion and no correspondence will be entered into. The winner(s) may be notified by email and the results may be published on this Website and/or in the paper. Lympstone.orgreserve the right to report details of competition winners, to take photographs (or other visual media) and to publish such media. The prize must be taken as offered with no alternative. In the event that the prize cannot be supplied no liability will attach to Lympstone.org. Entry into any competition does not give rise to any binding agreement between the parties. When prizes are supplied by third parties Lympstone.org are acting as their agents and as such Lympstone.org exclude all liability for loss or damage You may suffer as a result of any Competition. The decision of Lympstone.org is final and no correspondence will be entered into. Employees of Lympstone.org and the prize provider and their immediate families and agents may not enter. IMPORTANT: These Conditions contain an indemnity if You breach Your warranties to Lympstone.org. These Conditions apply to any advertisement which You have asked Lympstone.org to publish on Your behalf and by making such an offer You agree to be bound by these Conditions in that respect. These Conditions override any terms stipulated by You on order forms or elsewhere unless Lympstone.org accept those terms in writing. If we do so, these Conditions will apply except to the extent that they are inconsistent with anything so agreed by Lympstone.org. “You” means, and “Your” refers to, the person placing the Order with Lympstone.org and where that person is an advertising or other agency placing the Advertisement on behalf of their client that agency agrees that it has placed the Order as principal. Businesses within the Lympstone Parish boundary will have first priority in placing advertising followed by those advertising in The Lympstone Herald. Businesses in the outlying the Lympstone Parish Boundary have to offer a “unique” service and not over saturate similar business entries within the Lympstone Parish boundary. For example if there is 3 or more similar businesses within Lympstone your entry will not be accepted. Lympstone.org may insist on You submitting Your Order in writing and if we do so You will not be deemed to have placed an Order until we receive it in writing. If Lympstone.org do not insist that You submit Your Order in writing it is deemed to be placed when the initial Order is made, subject to the terms and conditions below. If You deliver copy instructions to Lympstone.org, we may treat this as an Order unless it is clearly marked as “not constituting an Order”. Lympstone.org will notify You if we do not accept Your Order within 14 working days of receiving it. Publication of the Advertisement will mean Lympstone.org have accepted the Order. Lympstone.org are not obliged to accept Your Order or to publish any Advertisement placed by You and cannot guarantee insertion, special position, the date or the classification of any such Advertisement. Lympstone.org will not be liable for any loss or damage incurred as a result of our failure in these respects. Lympstone.org may reject any Order (in whole or part) prior to publication by notice to You and (to the extent rejected) we will refund any pre-payment in that case but will have no further liability. Lympstone.org may carry forward an Advertisement not inserted to the next suitable occasion. If You place an Order but fail to provide copy/artwork by the publication deadline, Lympstone.org may repeat any previous relevant Advertisement from You for which we have copy, or use a filler, and charge You the full price of Your Order in any event. • not infringe any copyright, trademarks or other legal rights of any person or company and that You have received any consent needed to refer to or portray people (expressly or impliedly) in the Advertisement. • when appearing on any Lympstone.org Website will not contain hyperlinks or metatags linking to the advertiser’s own Website unless express prior permission has been granted by Lympstone.org. • that Lympstone.org may hold Your details on record for a reasonable period and contact You about future advertising opportunities which we believe may be of interest to You. • that any material submitted by You is held by Lympstone.org at Your own risk and should be insured by You against loss or damage from whatever cause. Lympstone.org reserve the right to destroy without notice all such property after the date of its last appearance in an advertisement unless You have given written instructions to the contrary. • that You acknowledge that Lympstone.org shall have no liability for any variation of up to 10% in the final published size of any advertisement. Lympstone.org are not obliged to accept a cancellation request (which we may require to be made in writing). All cancellations must be made in writing a least one calendar month prior to the publication date. If Lympstone.org accept a cancellation for part of a series of Advertisements, we may surcharge You for any insertions in that series which are not cancelled. Lympstone.org retain copyright (and any other intellectual property rights) in all our artwork, copy and other materials in any Advertisement (even if combined with any of Your copyright materials). In addition, You agree that Lympstone.org own the copyright in the typographical arrangement of all Advertisements. No copy in any form will be returned unless agreed in writing by Lympstone.org at the time of placing the Order. Lympstone.org will not be liable for accidental loss or damage to Your copy, including artwork and photographs, in any format. Accordingly, our liability for non-accidental damage to Your copy will be limited to the value of the medium in which they are embodied. You will pay for an Advertisement on placing an Order. You will be sent an invoice if You request one. A query on an item on an invoice issued by Lympstone.org will not affect the time at which You are liable to pay the rest of that or any other invoice issued by Lympstone.org. If You do not pay a sum due to Lympstone.org by the due date, all sums due by You to Lympstone.org become payable on the due date for the sum not paid and we may suspend further advertising for You and charge You compensation and interest according to the Late Payment of Commercial Debts (Interest) Act 1998. The section of the website dedicated to free advertising is covered by “5. Conditions of Acceptance of Advertisements” above. Particular reference is made to “5.c Advertising standards, legal obligations and third party rights”. The Small Adverts section is exclusively for personal sales, wanted or exchange of goods. Specifically excluded are services and trades and all business advertising. Adverts should be restricted to 50 words or less and must contain the advertisers e-mail address. Lympstone.org will remove any advert that it considers inappropriate in line with the 5c above. (d) Otherwise violates any applicable law or reputation. (e) You may not post on the Web Site any links to any external Internet sites that are obscene or pornographic or in breach of (a) to (d) above. (f) You shall not use the Web Site for any commercial purpose not expressly approved by Lympstone.org, nor shall you distribute any advertising or solicitation of funds or goods and services or solicit users to join competitive online services. You understand and agree that any breach of these warranties may cause Lympstone.org damage and loss and You agree to indemnify Lympstone.org and keep Lympstone.org at all times fully indemnified from and against all claims, costs, loss or damage incurred by Lympstone.org directly or indirectly as a result of any material posted by You on the website or any use by You of the website. Lympstone.org will fully co-operate with any law enforcement authorities or court order requesting or directing Lympstone.org to disclose the identity or locate anyone posting material in breach of this clause. 1. Lympstone.orgmay select or reject any material for publication at Our sole discretion and no correspondence will be entered into. 2. material submitted by You may be published in any publication or Website produced or published by Lympstone.org Group and/or may be supplied by Lympstone.org for publication by third parties at Our discretion. 3. your email address and password are personal to You and You must not allow anyone else to use them. 4. you must not impersonate any other user of the website or do anything to assist an unregistered user to gain access to the website. Lympstone.org does not and cannot proactively review the content posted by users on the Web Site and is not responsible for such content. However, Lympstone.org reserves the right to delete, move or edit any content (including content posted in any Interactive Area) that it may determine, in its sole discretion, violates or may violate this Agreement or is otherwise unacceptable. You shall remain solely responsible for all content posted by you. Lympstone.org shall have the right but not the obligation, to correct any errors or omissions in any content, as it may determine in its sole discretion. Lympstone.org does not represent or endorse the accuracy or reliability of any content posted on any Interactive Area and you acknowledge that any reliance upon such content shall be at your sole risk. Any content placed on any Interactive Area by users are the views of the user posting the statement, and do not represent the views of Lympstone.org or its advertisers or sponsors. The Web Site may contain links to sites on the Internet, which are owned and operated by third parties (the “External Sites”). You acknowledge that Lympstone.org is not responsible for the availability of, or the content located on or through any External Site. You should contact the site administrator or Webmaster for those External Sites if you have any concerns regarding such links or the content located on such External Sites. You agree to indemnify, defend and hold Lympstone.org and its affiliates, and their respective officers, directors, owners, agents, information providers and licensors (collectively known, ” Lympstone.org “) harmless from and against any and all claims, liability, losses, costs and expenses (including solicitors’ fees) incurred by any Lympstone.org Party in connection with any use or alleged use of the service under your user name by any person, whether or not authorized by you. Lympstone.org reserves the right, at your expense, to assume the exclusive defence and control of any matter otherwise subject to indemnification by you, and in such case, you agree to cooperate with Lympstone.org’s defense of such claim. Lympstone.org reserves the right, in its sole discretion, to restrict, suspend or terminate your access to all or any part of the Web Site, including the Interactive Areas, at any time for any reason without prior notice or liability. Lympstone.org may change, suspend or discontinue all or any aspect of the Web Site at any time, including the availability of any feature, database, or Content (including the Interactive Areas), without prior notice or liability. • any error (including but not limited to spelling and text errors) misprint, inaccuracy or omission in an Advertisement which does not detract from the essence of that Advertisement. Where Lympstone.org acknowledge an error (including but not limited to spelling and text errors) misprint, inaccuracy or omission we will, at our choice, either publish the corrected Advertisement, or depending upon how payment was made issue You a credit note or refund Your credit/debit card, to a value not exceeding the price of the Advertisement and this will be the limit of Our liability in respect of the error, misprint, inaccuracy or omission. Lympstone.org reserves the right to gather information relating to site usage. Any information gathered is primarily for internal use to allow Lympstone.org to refine and improve our customer service. This Agreement constitutes the entire agreement between the parties with respect to the subject matter hereof, and supersedes all previous written or oral agreements between the parties with respect to such subject matter. All provisions hereof shall survive any termination of this Agreement as well as any other revisions, which by their terms or sense are intended to survive. You agree to indemnify and hold Lympstone.org, its subsidiaries, and affiliates, and their respective officers, agents, partners and employees, harmless from any loss, liability, demand, claim or legal proceedings brought or threatened, including expenses of any character suffered or incurred arising out of Your use of the Website or the Services in violation of this Agreement, and/or arising from Your use of or conduct on the Website or in use of the Services and/or a breach of this Agreement. Your use of this Website, these terms and conditions and any matters arising are subject to the laws of England. Any dispute is subject to the exclusive jurisdiction of the Courts of England. Save as specifically provided otherwise, this Website is targeted only at, and goods and services are only available to, UK residents. Please note that in agreeing to our terms and conditions you have not forfeited your rights as prescribed under the UK Data Protection Act and we will use all reasonable care to protect your privacy. Businesses in the outlying area have to offer a “unique” service and not over saturate similar business entries within the Lympstone Parish boundary. For example if there is 3 or more similar businesses within Lympstone your entry will not be accepted. Please contact Liz Griffiths Advertising@lympstone.org if you would like to promote your business in this directory.